Companies in the big data analytics market have a reason to smile after a report released by IDC noted that the market will hit $203 billion sometime in 2020. The size of this market will stand at $130 billion by the end of this year. Key players like Entrance Consulting are expected to receive this news with excitement as they strategize to make the most of what the future is bringing. The IDC report said banks and other players in the financial industry will contribute the most to this through increased spending. On the other hand, service firms and IT businesses will lead the way in investing in the tech. 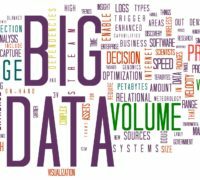 The recent past has seen big data analytics become quite mainstream resulting in considerable growth of the market for these technologies. This is quite a shift from the last several years when other markets like cloud computing and custom web app development experienced tremendous growth, in fact the web app development industry was on par with the cloud industry. While no one has actual numbers of how big this industry will get in the next few years, the new estimates have got market insiders excited. IT firms are expected to create business solutions revolving around big data including finding ways to incorporate this tech into business operations. It is expected that a number of big companies will compete against each other in investing in this market with the big banks expected to spend the most to get a share of this investment pie. Other industries expected to invest heavily in big data include process manufacturing, discrete manufacturing, professional services providers and central/federal governments. Other industries will take a little while to catch, but they too are expected to have started allocating more resources to these technologies by the end of 2020. These industries include transportation, telecommunications, utilities and insurance. It professionals, CIOs and administrators are expected to lead the way in the scramble for the big data analytics market. They will specifically be eyeing software tools for reporting and analyzing in addition to systems for data warehouse management. This interesting report also showed that investments by financial institutions will largely cover security and compliance. IDC report may be showing a pretty picture of the big data analytics market, but another report released by Gartner a week ago brings out a somewhat different image. The Gartner report was based on a survey the organization conducted that showed the possibility that big data analytics market could record slow growth in the immediate future. The report was based on a survey that Gartner conducted on its 199 member online community. While the survey showed that investing in big data will increase next year, it showed that investing in big data analytics will reduce after 2017.